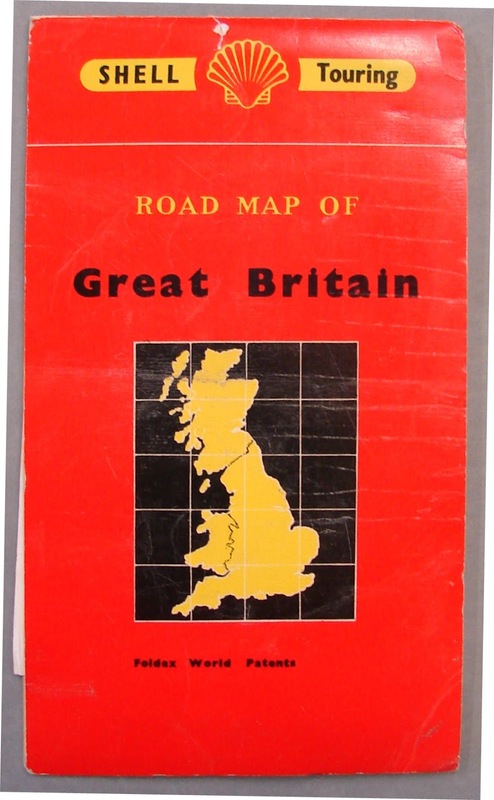 When German spy Josef Jakobs parachuted into a potato filed on Dovehouse Farm the night of January 31, 1941, he had a Shell Touring Map in his possession. 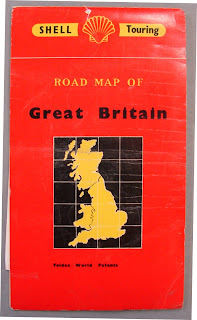 The map was a fold-out variety and relatively small-scale. Not the best map for a would-be spy! 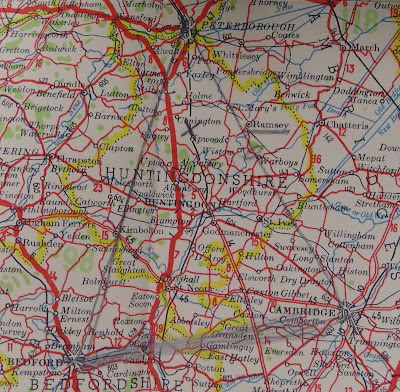 When MI5 examined the map, they noticed that a triangle had been drawn on one of the sheets connecting Peterborough, Bedford and Cambridge. According to Josef, this was the area in which the German aircrew said they would drop him. Within that triangle were two other marks, a penciled "x" and a small circle. The penciled line under the word Ramsey was added by the President of Josef's General Court Martial and is noted in the court martial transcripts. 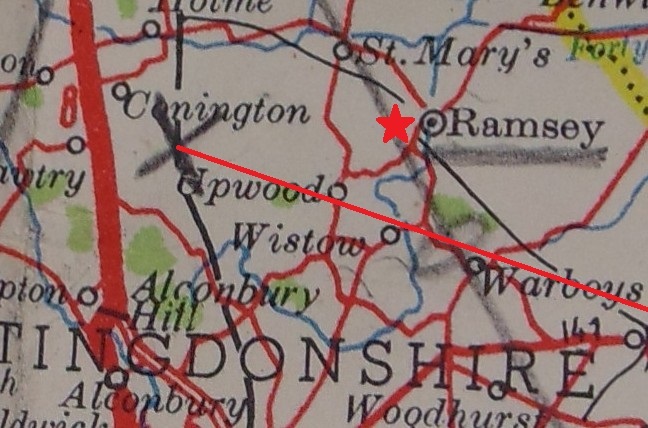 Ramsey actually lies outside the boundaries of the triangle and given that Josef was dropped southeast of Ramsey, this suggests that the aircrew did not have exceptionally precise navigation. There was much speculation in 1941 as to what the penciled "x" and circle could mean. 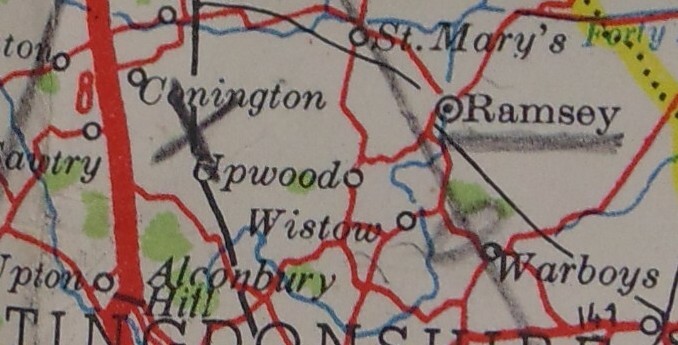 Some suggested that they indicated the locations of RAF Upwood and RAF Warboys. 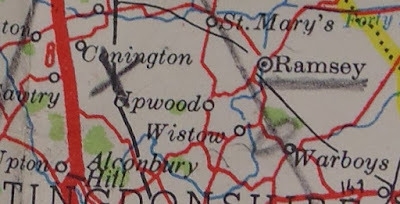 If we look more closely however, RAF Upwood is actually located just west of Ramsey (marked with the red star) while the penciled "x" is quite a ways further west. The circle is a bit closer to RAF Warboys. 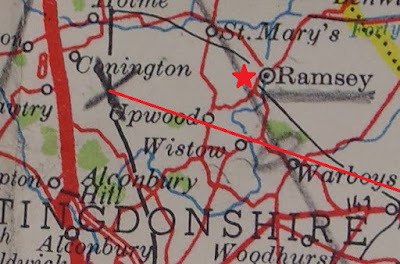 It is intersting to note that the circle is actually on the border of the triangle and that the "x" is on the railway heading down to London (former Great Northern Railway). 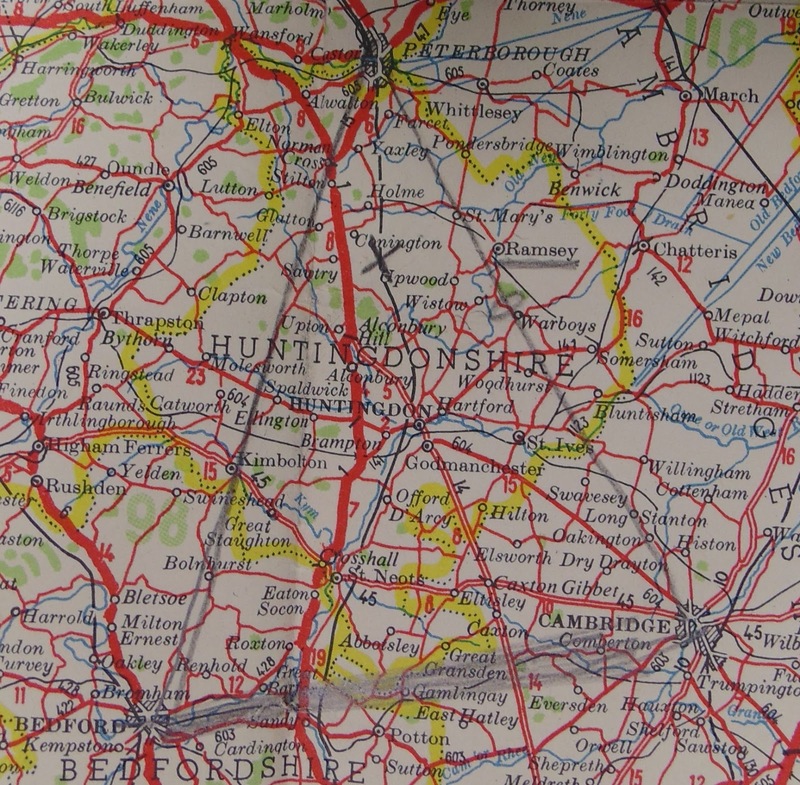 An alternate theory as to the meaning of the two marks might run as follows: as one of the members of the aircrew reviewed the map with Josef, he drew the triangle between Bedfordshire, Peterborough and Cambridge. This was the general area in which they hoped to drop Josef. The airman then drew a circle along the edge of the triangle. This was the point at which the aircrew hoped to intersect the drop zone. Finally, the airman drew an "x" where they hoped to actually drop Josef. It would certainly make sense that they would try to drop him close to a major rail line in order to facilitate his journey to London. This is, naturally, speculation but an intriguing one. One does not, of course, know the route that the plane took as it flew from Schipol Aerodrome (near Amsterdam) to England, but presumably it was not a straight line. Their proposed route according to the present theory would have them crossing the English coast somewhere just north of Ipswich.